If you know somebody that’s been arrested and taken into custody in Manhattan Beach, and you’d like to get the ball rolling on their release, then you’re in the right place. Our bail bond professionals on staff are well-versed in their dealings with the Manhattan Beach Police and can quickly answer any questions you may have. 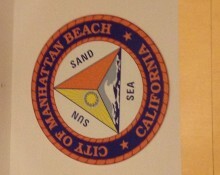 Manhattan Beach is located in Los Angeles County’s South Bay region, south of El Segundo and north of Hermosa Beach. The city is home to the Manhattan Beach Open Volleyball Tournament, the International Surf Festival, and some of the highest residential prices in the State of California. If you’d like to speak with a local bail bondsman right now, please give us a call at 310-782-BAIL (2245) or toll-free at 855-414-BAIL (2245). A licensed, professional bondsman is available any time 24/7 to take your call. The Manhattan Beach Police Station Jail consists of 8 main cells and 2 short-term cells. The main cells can hold a total of 14 inmates, while the short-term cells can hold an additional 10. The jail is quite small, and if it fills up, inmates who are not eligible for one of the various options for release will be transferred to the Twin Towers Correctional Facility (in the case of men) or the Lynwood Jail (in the case of women). If the bail bond process is begun quickly enough, it’s possible to have the inmate bailed out from the Manhattan Beach Police Station jail. However, if the inmate ends up being transferred to one of the larger facilities, it’s likely they will have to spend an additional 24 hours (sometimes longer) in custody as they are processed in to the new, much busier, location. When arrested, the first stop an arrestee will make will be the local police station where he/she will undergo the booking and processing procedure. This is where police officers will take the arrestee’s picture, record their fingerprints, and conduct a comprehensive national background check. Once all of this is complete, an inmate will be released, if eligible, or bail will be set per the Los Angeles County bail schedule. Own Recognizance – Otherwise known as “O.R.,” being released on one’s own recognizance happens when a judge allows an individual to be released from custody with a written agreement that he/she will meet all of their court obligations. Cited Out – Individuals are usually “cited out” when they’re suspected of minor infractions. It basically means that an inmate promises to show up in court at the appointed date and time, and is able to go about their lives in the meantime. Cash Bonds – This is when the full amount of bail is paid to the court clerk in order to immediately secure the inmate’s release. They’re usually the most expensive way to get an inmate out of jail, and if they fail to meet their court obligations, the entire amount of bail is forfeited to the court. Property Bonds – If no cash is available, it’s possible to put up real estate instead. The equity of the property must be no less than 150% of the total bail amount. Again, if the defendant fails to meet their court obligations, the property will be lost. Bail bonds are far and away the easiest method to get a friend or loved one out of police custody. It all begins by calling us and providing a bit of information to the bail bondsman you speak with. Once we’ve located the inmate within the system, and verified their eligibility for bail, we will need you to fill out the bail bond application forms and indemnitor agreement. After that’s done, we will dispatch one of our bail agents to the jail and your friend or loved one will be released a few hours thereafter. The entire bail bond application process can be done from anywhere, you don’t even have to meet with us in person. We can easily send you all the relevant paperwork via fax or email and complete the process without you having to leave your work or home. If you would like additional information regarding Manhattan Beach bail bonds, please feel free to call us any time of day or night. A bail bondsman is available 24 hours a day, 365 days a year to take your call. We can be reached locally at 310-782-BAIL (2245) or toll-free at 855-414-BAIL (2245). Let us help you in this difficult situation.